Sepera College provide a range of courses to set you on the path of your career in accounting or learn a new language. Our renowned courses are delivered to the highest standards, by qualiﬁed tutors in our modern purpose built facilities. Our unique blend of academic tutoring and industry experience for our accounting courses provides a complete training programme, supporting our students from induction through to qualiﬁcation and beyond. Our centres were established to provide value for money education to students in Accountancy. 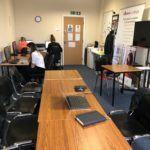 We run part time, Saturday and evening courses, to meet the demands of the local community. Our centres provide equal opportunities to all learners. Our tutors are very supportive to our students and this is reﬂected in the one-to-one approach in dealing with student queries. Smaller classes - to reach your full potential are also intended to provide effective tutor support to our learners. We have the passion, the drive and the knowledge to make it work. 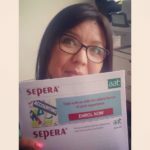 Anyone that leaves Sepera has a clear understanding of the workings of their qualiﬁcation and the conﬁdence to walk into a job knowing that they can handle anything put their way. AAT is open to everyone - you don’t need previous qualifications or experience, and you can work at a pace that fits in with your lifestyle. 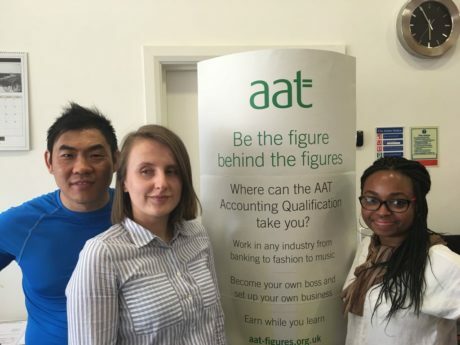 Whether you’re looking for your first job in accountancy, or simply want to enhance your existing accounting skills, AAT will give you the training you need. Qualified accountant, with a Master’s degree in physics and has academic background in science and maths. Vincent is a qualified accountant with graduate degrees in Computer Science and Accounting. He has extensive experience in teaching and managing professional accountancy qualifications – ACCA and AAT. Subjects taught: Financial Accounting, Management Accounting, Taxation, Professional Ethics, Audit and Assurance, Cash Management, Budgeting, Computerised Accounting and Spreadsheets. He has also successfully taught – Business Studies, ICT, Economics and Computer Science on other qualifications. Vincent has had previous successful experience in management roles and has worked as an auditor for eleven (11) years, including three (3) years with a top five auditing firm. I’m a qualified accountant with over 25 years experience in the field. I’ve always been enthusiastic about training staff and teaching is my passion. Master in Project Management at George Washington University and Master in Economics at Warsaw University. Large experience as Project Manager and Coach.